Food labels are supposed to to help you decide which foods you want to eat and which aren't good for you. However, food companies often use weird names and misleading terms on their labels in order to make them seem less bad for you. 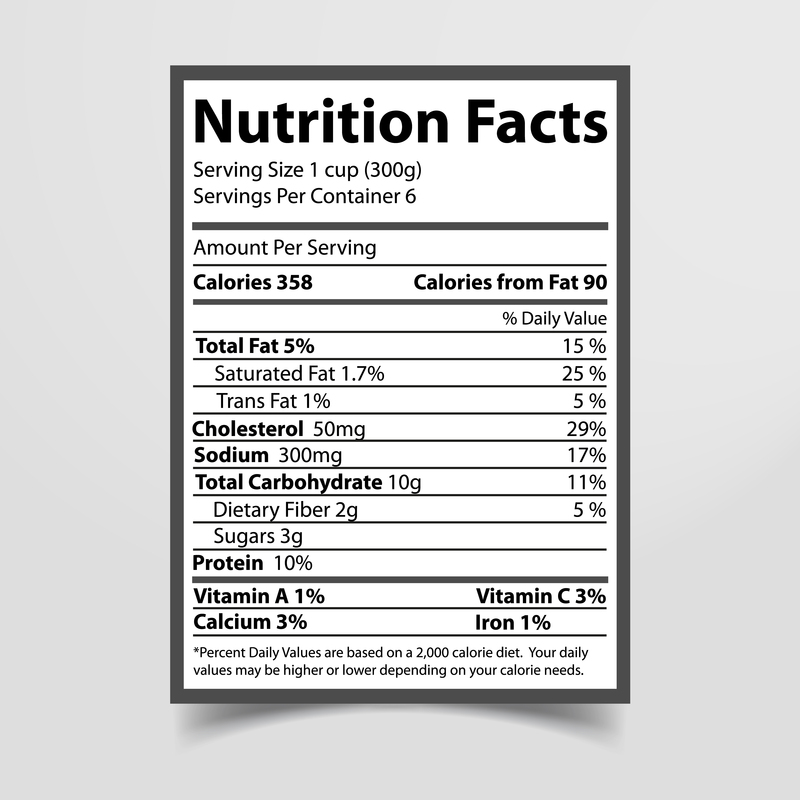 If you want to be sure you are eating good, healthy food, then you need to learn how to understand food labels. Artificial flavors and colors are all chemicals. Monosodium glutamate, or MSG, is a kind of salt that can cause headaches, chest pains, and nausea. Preservative chemicals like sodium nitrate, sodium nitrite, and benzoate should be avoided because they can cause heart problems and increase your risk of cancer. Sugar is often labeled as cane crystals, evaporated cane juice, cane juice crystals, and dehydrated cane juice. High fructose corn syrup, dextrose, sucrose, fructose, maltose, barley malt syrup, brown rice syrup, malt syrup, fruit juice concentrate, honey, molasses, lactose, xylose, turbinado, and treacle are all also essentially sugar. Trans fats are unhealthy when eaten in any amount. They raise bad cholesterol levels and can cause heart disease. They are often labeled as hydrogenated oil. Brominated vegetable oil is also a trans fat. It can be difficult to avoid genetically modified foods, also called GMOs, because labels do not always mention if they have been used. If you want to avoid all GMOs, then you should avoid all processed foods that contain soy or high fructose corn syrup. Both of these ingredients are likely to be genetically modified. You should also avoid any corn products, because they all carry the risk of containing GMOs. If you are a vegetarian, then take a look at the nutrition label first. If there is any cholesterol at all in it, then it is not a vegetarian food product no matter what the ingredients list says. Cholesterol only comes from animals. You should also be aware that rennet comes from goats and gelatin is made from bones. You should also avoid casein and whey. If you need to avoid gluten, then you should beware of flour, bleached flour, enriched flour, barley, oats, rye, malt, and anything with semolina, durum, bulgur, faro, spelt, kamut, matzo, dinkel, graham, wheat, triticale, or seitan in the name. You should avoid brewer's yeast, because the manufacturing process leaves some gluten in it. In general, if you have food-related health concerns and you don't know an ingredient, you shouldn't risk it. Choose something that uses simpler ingredients.